Rie-Rie Bell is a barre and flexibility/stretch instructor, and has been teaching at Smoke and Mirrors since 2013. She is a dancer, aerialist, competition coach, choreographer and a competition judge. 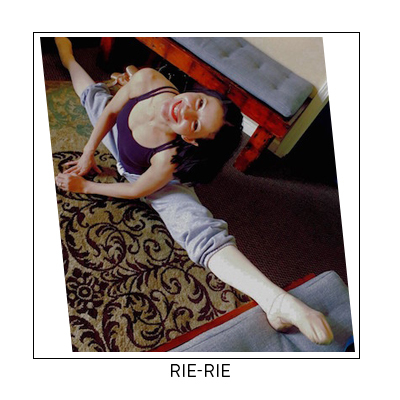 Rie-Rie originally started dance classes and flexibility training at the age of six, and began teaching dance in 2007. Rie-Rie has a fun, playful way of teaching, and is more than happy to be a little silly if the mood gets too serious! She loves watching students progress, and is the proud "Dance Mom" to all of her students! SMOKE and MIRRORS FITNESS IS ON INSTAGRAM!